The Police and Crime Commissioner (PCC) for Lancashire is calling on residents to give their views on the current state of policing in the red rose county. PCC Clive Grunshaw has launched a public survey on the matter, asking questions regarding how residents how they find out about policing in their area, how often they see uniformed police officers on the streets of their communities, and how confident residents are in the force's ability to combat crime in the area. Mr Grunshaw said: "I want to get a clear view from the Lancashire residents about your priorities for policing and how safe you feel. "Despite the challenges we face, the Chief Constable and I have a shared ambition for the Constabulary to remain as one of the top forces in the country." 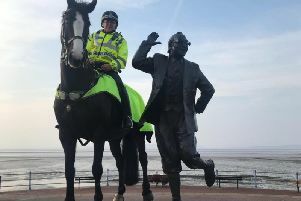 He added: "By completing this survey you will help to shape the development of Lancashire Constabulary and the service it provides to residents."